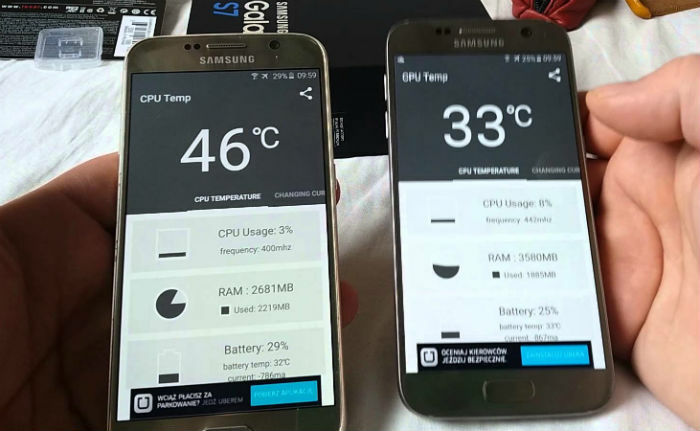 Read and understand why a premium smartphone like the #Samsung Galaxy S7 (#GalaxyS7) heats up to the point of overheating while being charged. Learn how to troubleshoot or what you have to do whenever this issue occurs to your. You may have already seen the news about Galaxy Note 7 units that exploded, got fried or caused fire. Those cases occurred during and after charging that’s why we can’t blame other smartphone owners to be worried when their devices heat up while charging. Recently, we did receive a lot of requests for support from Samsung Galaxy S7 owners who are complaining about their devices that are heating up when plugged in. So, in this post, I will tackle this very issue for the sake of our readers who are worrying about serious charging-related issues. Remember that while smartphones are very small and seem harmless, there were already a lot of cases wherein owners got hurt because of them. And oh, have you already seen a Jeep burned down due to a smartphone? Yeah, those things happen too. My point is, it’s imperative you take this case seriously since your safety and that of your family is at stake here. Read on to understand why your Galaxy S7 is heating up while being charged and know what to do in case it happens to you. If you have other issues with your device, however, make sure you drop by our troubleshooting page for we have already addressed hundreds of problems sent by our readers. Odds are that we have already answered your problem before so take time finding issues that are similar with yours on our website. If you can’t find any or if our solutions don’t work and you need further assistance, feel free to contact us by filling up our Android issues questionnaire. This is the first thing you should do since you immediately tell if your phone suffered physical trauma due to drops or anything that could give a devastating impact on your device. An impact that may leave your phone to not work properly should leave a mark so try to check if there are scratches, breaks or anything that indicates it has come in contact with something hard. Short circuits often lead to overheating and other serious hardware issues that’s why it is imperative you verify your device isn’t suffering from any of that due to liquid damage. While the Galaxy S7 is water-resistant, it doesn’t guarantee that water cannot find its way into it. In fact, we already receive a lot of complaints from our readers about their S7 devices that stopped working after being used under water. Remove the SD card and SIM card tray and look into the port to see if the little white sticker (Liquid Damage Indicator) turned red, pink or purple because if it did, then it’s water damage that caused the problem. Some apps you downloaded may have been running in the background, which also helps out in draining the battery quicker. The faster the battery drains, the hotter the phone becomes if used continuously and when you plug it in to charge, the device will heat up all the more. When Samsung Galaxy Logo appears on the screen, release the Power button and immediately hold the Volume Down key. Continue to hold the Volume Down key until the device finishes its rebooting. Now, if “Safe Mode” appears on the bottom left corner of the screen then, you can release the Volume Down key. Should your Galaxy S7 still heat up while charging even in safe mode, then try to do the next step to see if it makes a difference. Most of desktop and laptop computers give out half an Ampere of electric current even if they too produce 5 Volts of electricity. Your Galaxy S7’s original charger gives out 2 Amperes and works between 5 and 9 Volts, which depends of you’re using the fast charging feature. Between the computer and the charger, the latter may cause the phone to heat up more than the former. So, if your phone is still heating up when connected to a computer or a laptop, then we can almost be certain that there’s really something wrong with your device. In which case, proceed with the next step. After following the steps above and the device is still heating up while charging, then you have no other option but to reset your phone to ultimately try to rule out the possibility that the problem is caused by a firmware issue. If all of these steps failed to fix the problem, you need help from a technician. This is a super helpful article. Thanks so much. I got to your step 4, and figured out it’s a charger issue. Do you have a recommendation for a lower ampere charger? Mine is also very hot. Just got it today. It’s hot when it’s charging and when its not charging. ugh! Lately, my Samsung Galaxy 7 is getting very hot, & I don’t know why & what to do about it. mine almost exploded, the back separated about 3/4″ and cracked the front glass and the back severely – originally sprint wanted me to mail it to them, they were going to send me a label and box, when it didn’t arrive, I called back, now they say its hazardous material that cant be mailed. I should hear from them in 3 days?? My phone is extremely hot. It won’t power off. I was not charging it it just froze on me. I am afraid it is going to catch on fire. What should I do? Why is my Galaxy S7 so hot even when not on charger?